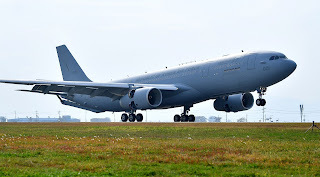 The first Airbus A330 Multi Role Tanker Transport (MRTT) aircraft for The Republic of Korea Air Force (ROKAF) has now been delivered. The new-generation A330 MRTT extends the endurance and range of The Republic of Korea Air Force’s fighter aircraft and provides the service with strategic transport capability for passengers and freight. Many roles for one aircraft.............The A330 MRTT can carry a maximum payload of up to 45 tonnes, combining the passenger cabin and the lower deck: Up to 300 Passengers, MedEvac cabin layout with 40 stretchers, 20 seats for medical staff and 100 passengers, Up to 37 tonnes of cargo in the lower deck. 27 LD3 containers or 8 military pallets. The A330 MRTT can carry up to 111 tonnes of fuel; this is the highest capacity of all tanker aircraft, even those which have additional fuel tanks in the cargo deck. It has the capacity of offloading 50 000 kg of fuel to a broad range of receivers during a 4-hour loitering mission at over 1 000 nm from its take-off point. Another typical mission is the deployment of fighter aircraft over a long distance. 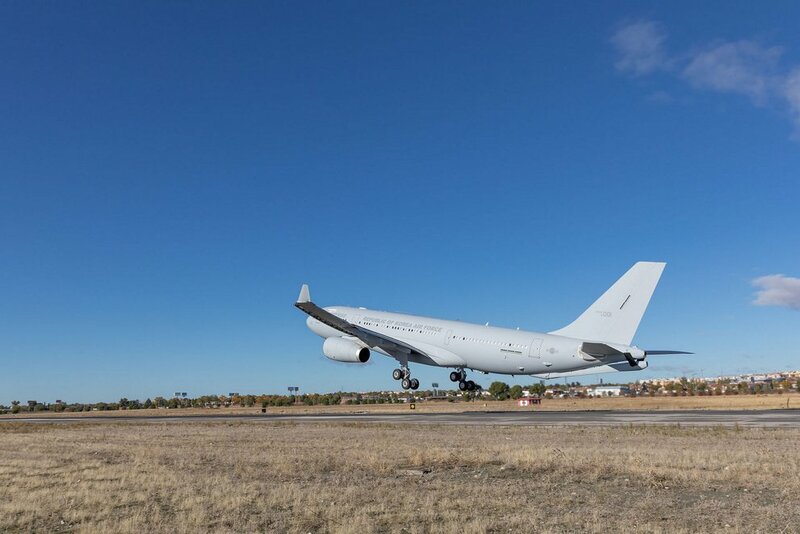 The A330 MRTT can support the deployment of 4 fighter aircraft plus 50 personnel and 12 tonnes of freight (luggage, spare parts and equipment) in one direct flight over 5200 km, e.g. from Europe to Afghanistan. .